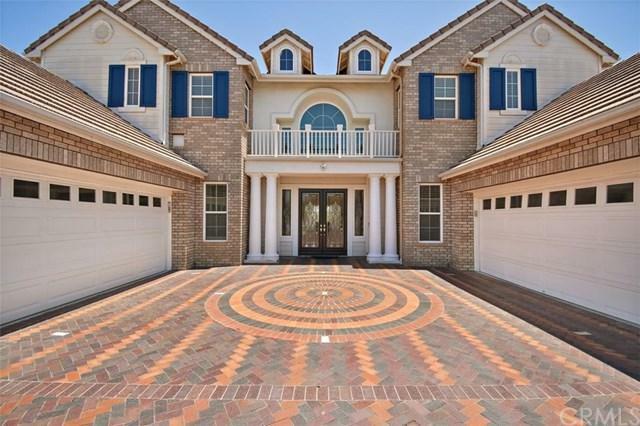 Luxury awaits you in this Federal Elevation, SEMI CUSTOM Estate. 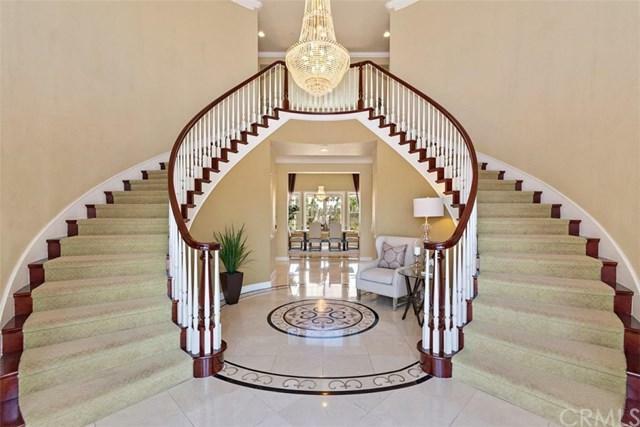 This home is known for its Grand Foyer and Dual Stairwell Entry! Perfectly situated on a 28,000 plus Sq. Ft. Corner Lot, this homes' open concept design includes approximately $250,000 in improvements.The well thought out design includes a downstairs mother in law suite with a full bath and walk-in closet, generous size office with french door entry, separate formal living room, separate formal dining room, with a gourmet kitchen that is open to the Great Room. The Grand Master Bedroom is perfectly tucked away on the North side of the home... perfect for privacy and all secondary bedrooms have private bathroom suites. Enjoy the Resort Style backyard complete with Raised patio, Basketball Court, Roman Pillars, Custom Barbecue, Over 30 palm trees, lots of grass areas, multiple fruit trees and a nice vegetable garden. Custom Amenities include, Creme+GG Marfil Marble Floors, 2 Chandeliers, Built in Cabinets at Garage, Custom Medallion at Entryway, Roman Pillars, Custom Designer Windows Throughout, Custom Paint, Crown Molding, 3 Fireplaces, Custom Built-ins at the Family Room and Master Bedroom, Custom Pavers at Driveway, Custom Patio, Fountain and Firepit at Backyard, 3M window tenting on first Floor and Surround Sound Speakers at the Family Room and much more. Enjoy low tax rates, nearby recreation and upscale dining. Sold by Renee Fyfe of Keller Williams Realty.